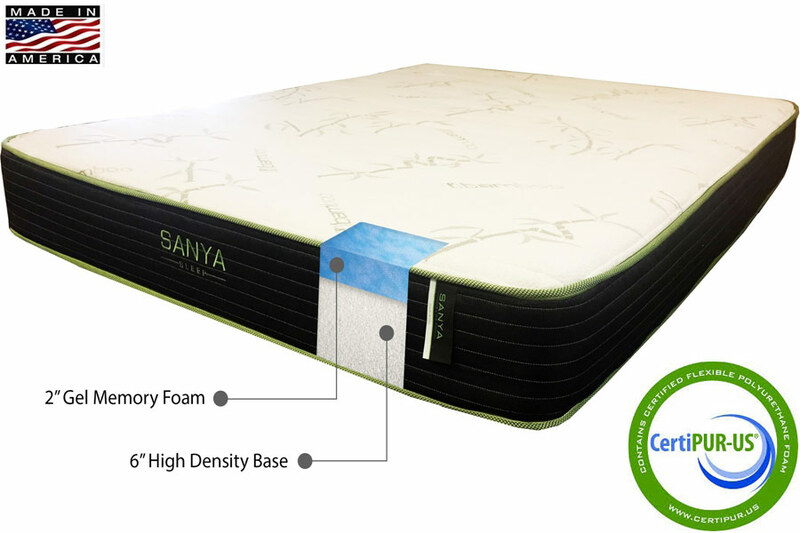 The Sanya Sleep Aria Mattress is crafted with a firm, supportive high-resiliency foam core as its base. This layer enables Aria to help maintain proper posture, and, unlike typical innerspring mattresses, won't transfer motion side to side. It absorbs energy and movement providing sound undisturbed sleep. On top, Aria adds a 2" layer of high-quality Gel Memory Foam, which allows Aria to offer a soft, plusher feel than traditional memory foam. And, as an added bonus, Gel Memory Foam doesn't hold heat the same way standard foams do. Made in the USA and shipped via FedEx, Aria is an ideal mattress solution - pain free on your back and wallet!